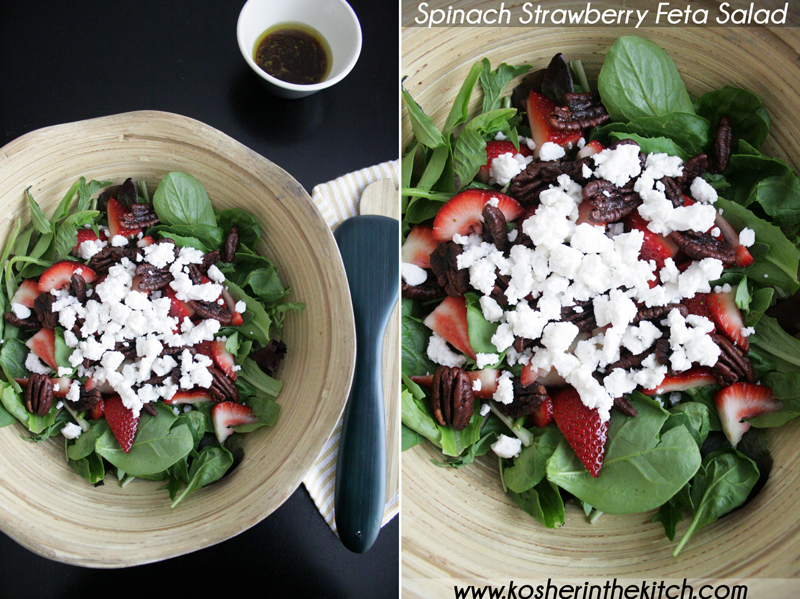 Spinach Strawberry Feta Salad - Kosher In The Kitch! 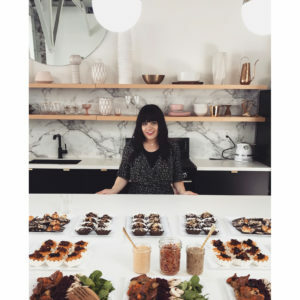 Spinach Strawberry Feta Salad - Kosher In The Kitch! When hosting, people often fuss with the main dish when really what you need is a good salad to start off the meal right! This sweet and tasty salad is a favorite of mine. With crunchy pecans, salty feta and sweet strawberries, it’s got a great combination of flavors and is sure to be a crowd pleaser. Place spinach in a large salad bowl. Layer on top the sliced strawberries, pecans and crumbled feta. Combine balsamic vinegar, olive oil and brown sugar in a small bowl then drizzle over salad right before serving.